March 20, 2019 March 20, 2019 Pesso's IcesLeave a Comment on Happy Spring and Happy Holi! 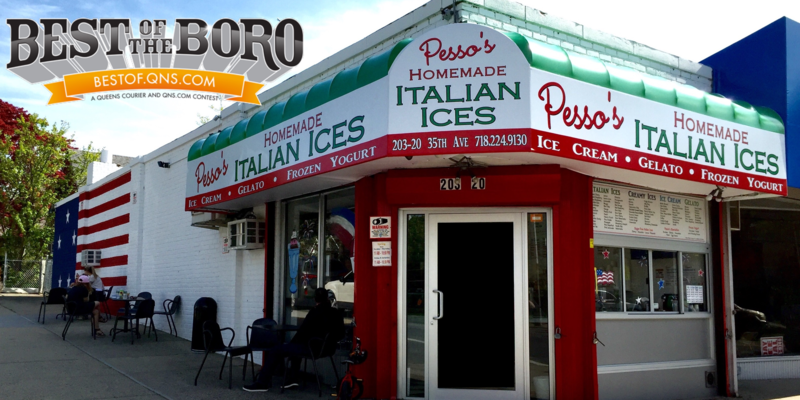 Celebrate with a splash of color and 9 New Flavors of Italian Ices that Mr. Pesso & his Son just made! This one is the delicious Rainbow Cookie Ice with slices of incredible Italian Rainbow Cookie Cake mixed by hand! Try this and the 8 other new ones in our shop, and see our full list of flavors on our website – the link is in our bio (www.pessosices.com)! Happy Spring and Happy Holi! Celebrate with a splash of color and 9 New Flavors of Italian Ices that Mr. Pesso & his Son just made! This one is the delicious Rainbow Cookie Ice with slices of incredible Italian Rainbow Cookie Cake mixed by hand! Try this and the 8 other new ones in our shop, and see our full list of flavors on our website – the link is in our bio (www.pessosices.com)! Happy Spring and Happy Holi! Celebrate with a splash of color and 9 New Flavors of Italian Ices that Mr. Pesso & his Son just made! This one is the delicious Rainbow Cookie Ice with slices of incredible Italian Rainbow Cookie Cake mixed by hand! Try this and the 8 other new ones in our shop, and see our full list of flavors on our website – the link is in our bio (www.pessosices.com)! Previous Craving something Sweet & Scandinavian? Try our incredible Swedish Fish Italian Ice, with real pieces of the famous gummy candy in every scoop!